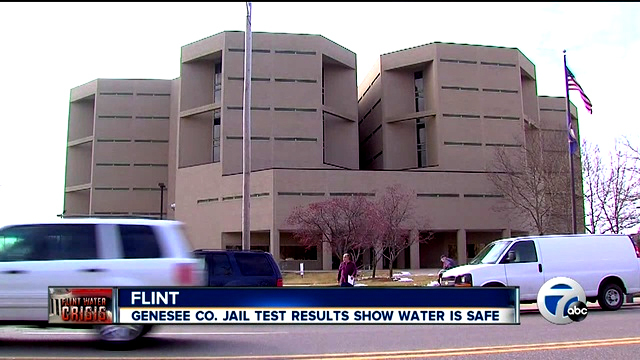 FLINT, MI — One man has been taken into custody for reportedly attacking Genesee County sheriff’s deputies with a knife. The attack came after he broke into the main lobby of the sheriff’s office in Flint, according to Sheriff Robert Pickell. Pickell said it was early Sunday morning when the man shattered the glass on the doors leading to the lobby. Once inside, he smashed the kiosk and did damage to vending machines in the lobby. Three deputies heard the commotion and came out to see what was going on. Sheriff Pickell said the man attacked them with a knife. The deputies were able to bring the man down and take him into custody without anyone getting hurt. The man, whose identity hasn’t been released, also did damage at the Circuit Court building next door to the sheriff’s office. Pickell said the deputies were brave in their effort to bring down the man. He added that had this happened Monday when the lobby was open and full of people, someone could’ve been seriously hurt.